Who doesn't love coffee? Despite its bitter flavor, it remains one of the most popular and necessary beverages for human existence. 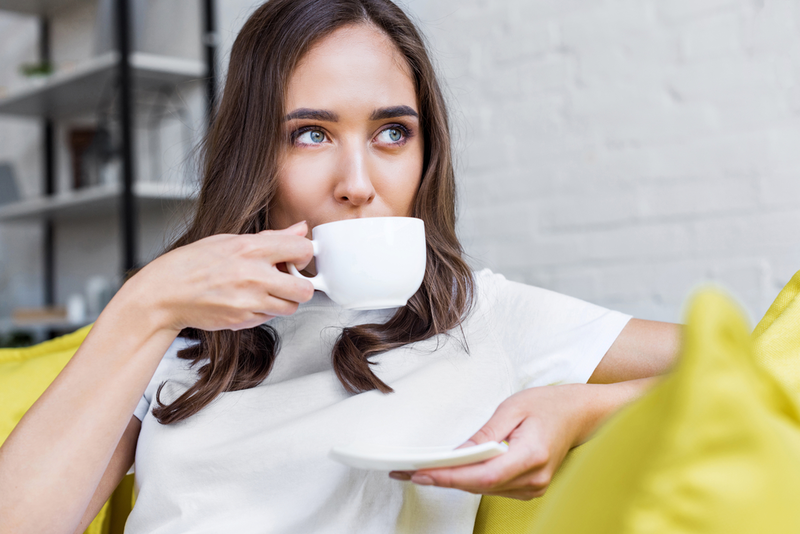 We're a society of people who thrive on caffeine because we've cultivated busy, stressful lives and need the energy boost to get through every day. Now, you can spend $3-$5 dollars daily for a Starbucks or Dunkin' Donuts brewed bean juice, or you can save yourself the money and brew your own caffeine at home with the Ninja Coffee Maker. Say goodbye to generic, one-size-fits-all coffee brews, to long lines at cafes, and to inconsistencies between different baristas. 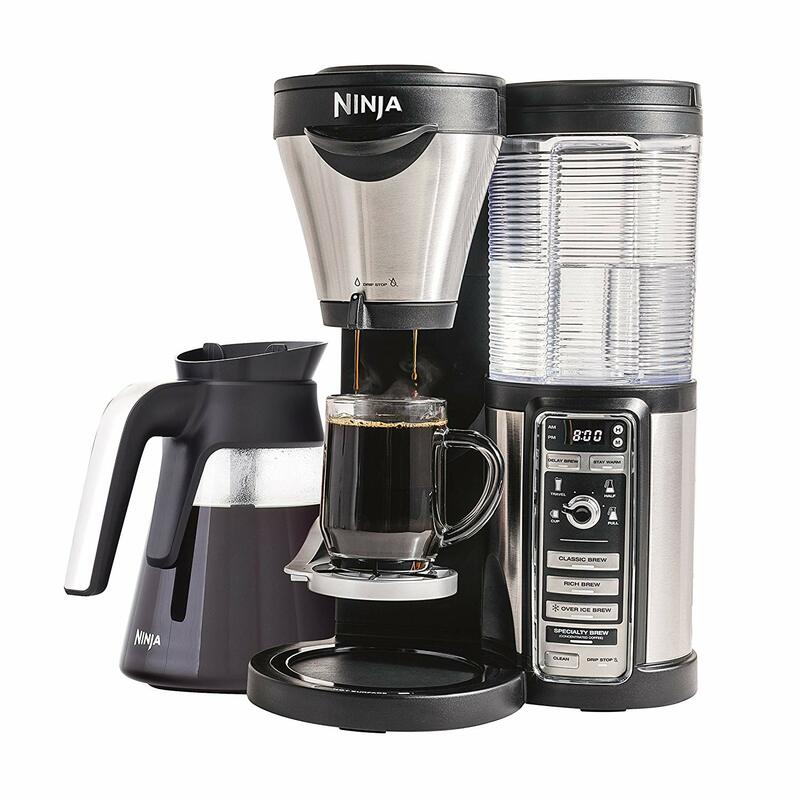 With the Ninja Coffee Maker, your coffee is in your hands, and no one can get in the way of your morning brew. In this article, we will be giving you an overview of the Ninja Coffee Maker. We will also compare it to a few similar products, like the Technivorm Moccamaster 10-Cup Coffee Brewer, the Cuisinart CHW-12 Coffee Plus Coffee Maker, and the Mr. Coffee BVMC-SJX33GT-Am Coffee Maker. Follow along, and in less than ten minutes, you will have all the information you need to pick the next coffee maker that will keep you kicking throughout your day. What is the Ninja Coffee Maker? The Ninja Coffee Maker CF080 is the answer to your caffeine addiction. You can use it to brew both hot and iced coffees, steam milk into foam, and enjoy coffee at home like you've always wanted to. You can also choose to make just one simple cup or make a whole pot for days when you know one isn't going to cut it. The Ninja Coffee Maker CF080 has a lot of features and is designed as a full coffee bar so that you can have regular coffee, iced coffee, a specialty coffee brew such as a macchiato or latte. This coffee maker gives you the option to pick your sizes. You can have your coffee in a cup, a travel mug, a half carafe, or a full carafe. With the Auto-iQ One-Touch Intelligence technology, it is able to give your coffee the perfect amount of water at just the right time, while also accounting for size and brew type. Say goodbye to measuring cups and water spills. The Ninja Coffee Maker CF080 comes with a 43 oz. Glass Carafe and Intelligent Warming Plate to keep your coffee within the ideal drinking temperature range. This feature includes an automatic 2-hour shutoff for your convenience. On top of that, you can program the Ninja Coffee Bar Delay Brew to schedule your customized coffee breaks. Inside the package, you will also find a Ninja Hot and Cold 18 oz. Insulated Tumbler, a Glass Ninja Easy Milk Frother, a 40-recipe cookbook, a permanent filter, and a Ninja coffee scoop. This comprehensive kit provides everything you need to get right to drinking coffee just the way you like it. This coffee and specialty brewing system can be purchased for around $100 depending on where you buy it from. Buying it directly from the manufacturer and some department stores will result in typically higher prices. However, it can also be found on Amazon, eBay, and other similar sites for less. We also found a few exclusive offers on a few websites and department stores offering this item on sale or with a special addition to the system. We picked a couple of similar products available on the market to see how they compare. This is coffee made simple, fast, and tasteful. This coffee brewer is designed to quietly brew 10 cups of piping hot coffee in 4-6 minutes. To do this, it uses a unique, copper boiling element that speedily heats the water to maintain brewing temperatures that fall between 196? and 205? F. This temperature is very important for the soluble coffee extraction. This feature will automatically turn itself off when the water reservoir is empty so as not to overheat and burn anything. The maximum flavor, aroma, and complexity of the coffee is achieved by using a cone-shaped brew basket that maintains a 6 minute steep for the best water saturation possible. The brew basket does contain an adjustment knob to allow for different levels of dripping into the stainless-steel thermal carafe. This carafe will keep your coffee hot for up to an hour, however, it can keep it hot longer with the use of the included travel lid. This coffee maker is produced using only metal parts for all the brewing process and housings. A few of the outer components are made of sustainable plastics containing no BPA, BPS, bpf, or phthalate. The design and use of superior materials make this model of coffee maker more durable and able to stand up to better over time. The Moccamaster is also guaranteed by a five-year limited warranty, making it much more worth the more expensive price tag. However, you will find that the taste is just about worth the price alone. 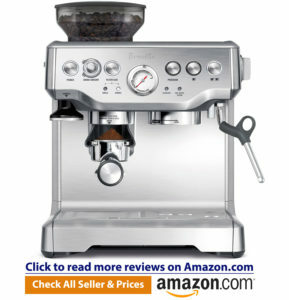 Many, many people have written reviews about this coffee maker producing the best tasting coffee ever. Wouldn't you like to have the best coffee possible every morning from the comfort of your own home? We know we do. This model also has a self-clean function to make sure that impurities and the like are not getting into your favorite drinks and soups. There are easy-to-understand indicator lights alerting you to when your coffee is hot and ready when your machine needs more water. While your coffee is being made in the morning, you can also treat yourself to hot water for a bowl of oatmeal or a hot tea for your partner. The hot water is kept separate from the coffee maker part of the machine so as to allow you access anytime you need it. This system also contains a removable drip tray with room for tall mugs, a carafe with a drip-free pour spout and a comfortable handle, and safety features that prevent hot water from being dispensed until you want it. Cuisinart also gives you a three-year limited warranty when you buy this product. Mr. Coffee has been known for their genius in creating coffee maker that are both convenient and make great coffee but also that are very affordable. This model is no different. This coffee maker has all the makings to be your best morning friend. It has a modern design that holds a glass carafe capable of holding up to 12 cups of piping hot coffee. However, for those that wish to keep their coffee hot longer, there is a stainless-steel thermal carafe available that fits this model perfectly. This coffee maker is programmable with a brew timer and delay brew features. It also contains a brew pause function in case you can't wait for the whole 12 cups to be made completely. And while it does not offer the option for cold or specialty brew drinks, there is a setting that allows you to adjust the strength of your brew. This allows you to make your coffee as strong or close to regular as you prefer. This coffee maker from Mr. Coffee also has a built-in water filtration system that is designed to remove up to 97% of chlorine and other contaminants from your water. This, in return, makes your coffee taste much better. The machine will turn itself off automatically after two hours to prevent scorching of your coffee. It has another function that will also tell you when it might be a good idea to clean your coffee maker to make sure you have the best tasting coffee possible from it. Mr. Coffee also guarantees this product for up to one year. 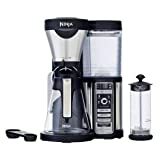 After reviewing the Ninja Coffee Maker and these other similar coffee making machines, we have decided to give the Ninja a 4 out of 5 stars overall for its price, its many capabilities, and its ease of use. While it couldn't compare much to the Technivorm's use of sleek design and superior materials, it does offer a lot of variety and a pretty great flavor for its low price. You can hardly afford to not get it for all that it does in comparison with these other models. Even the most expensive system on our list only offers hot coffee options while the Ninja can do both hot and cool. It also can adjust the brew strength, size of drink being made and even comes with items to make specialty brews such as cappuccinos and lattes. None of the others can boast that. And, furthermore, most others can only make a whole pot or carafe of coffee instead of individual servings. This makes the Ninja Coffee Maker an invaluable part of your morning, afternoon, or evening routine. For whenever you want coffee, hot or cold, this Ninja can provide.